To all of the Knight Reader family. Kelly passed away on July 08, 2017. She so much enjoyed reading and sharing her thoughts on so many books. This was only one of many outlets she used to share her love for books. This site was very special to her. Thank each of you for your comments. She will be missed not only by her family, but by the ones she shared that love with. 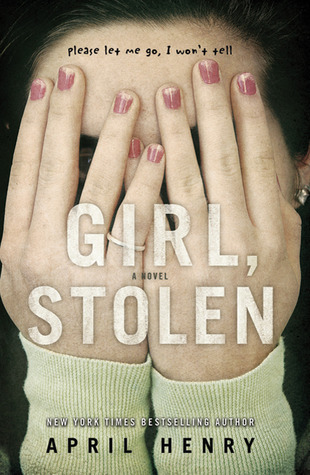 Yesterday, I finished reading Girl, Stolen by April Henry. This book has been out since 2010, but I didn’t make time to read it until recently. Why, you ask? Well, there’s now a sequel, Count All Her Bones, and I couldn’t read that one until I finished the first book, so there you go. Now, it’s time for a quick look at Girl, Stolen. This will be a short post because I feel like crap and want to go back to sleep, so let’s get started. It was supposed to be a quick stop at the pharmacy for antibiotics. Who could have predicted that it would turn into a nightmare for Cheyenne Wilder? Lying in the backseat, blind and sick with pneumonia, Cheyenne thought her stepmom was getting into the driver’s seat, ready to take them both home. She soon realizes, however, that something is wrong. Her stepmom is not driving. Someone is stealing the car, and she’s along for the ride. It doesn’t take long for Griffin to grasp that he’s just screwed up royally. He thought he’d stumbled upon a perfect score–and Escalade with keys in the ignition. He didn’t think to look in the backseat. Now, he’s got to figure out what to do…with both the car and the girl. His only saving grace may be that this girl is blind and can’t identify him. Maybe he can get out of this without too much trouble. When Griffin delivers both car and girl to his father, the situation gets even more complicated. It seems that Cheyenne’s father is a big-wig at Nike, and Griffin’s dad wants to take advantage of that. He thinks this could turn into a huge payday. Griffin isn’t so sure about this plan, and he grows even more reluctant to participate when he realizes that his father (and his cronies) have no plans to keep Cheyenne alive. Even though she’s blind, Cheyenne never stops trying to find a way out of this mess. She knows that Griffin is protecting her from the other men and what they plan to do with her, but surely he won’t think of aiding her escape. He’s the one who kidnapped her in the first place. Or would he consider helping her? Maybe he’s just as eager to end this fiasco as she is. Whatever the case, Cheyenne is determined to survive, and she’ll do whatever she must–even perhaps trust her abductor–to make it back home. If you’ve read any of April Henry’s books, you know that she’s known for good, engrossing mysteries suitable for middle grade and young adult readers. This book is no different. 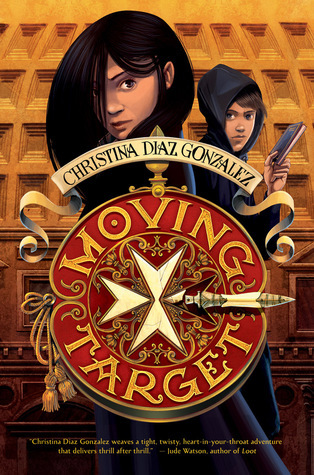 It’s a quick read, perfect for reluctant readers, and it definitely keeps one’s interest from page to page. Count All Her Bones, the sequel to Girl, Stolen, was released in May. As you may have guessed, given that there is a sequel in the first place, Cheyenne does survive in book one. From what I understand, though, her troubles are far from over. 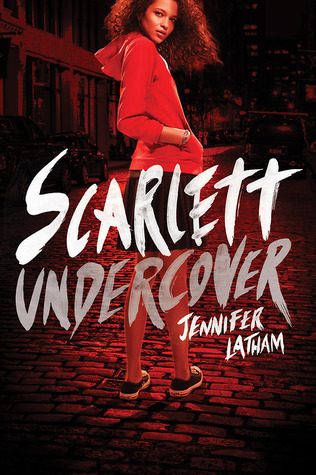 As soon as I finish a few other books, I’ll see just how much trouble she finds in book two. For more information on Girl, Stolen and other mysteries by April Henry, check out the author’s website, Twitter, and Facebook. Every once in a while, I come across a book that I know is going to wreck me. Sometimes, all it takes is a look at the cover or a glance at the description to realize that I better get the Kleenex ready. That’s what happened with Bang by Barry Lyga. When Sebastian Cody was four years old, he did the unthinkable. He shot and killed his baby sister. It was an accident, but that event changed everything. It broke up his family, and it made Sebastian into a pariah. Everyone knows him as the kid who shot his sister. It’s now ten years later, and Sebastian has nearly reached his breaking point. He’s certain it’s almost time for him to end his pain. He can’t escape what he did to his sister, but he can escape this life. He’s almost ready. Almost. When his best friend, Evan, goes away for the summer, Sebastian is sure that he won’t see his friend again. He’s going to end his life, and nothing is going to stop him. His plans begin to change, however, when he meets Aneesa. Aneesa is unlike anyone Sebastian has ever met. For one thing, she’s Muslim, which already makes her unique in his extremely white bread town. For another, she doesn’t know anything about Sebastian’s past. To her, he’s just Sebastian, awkwardly funny guy who charms her parents and makes delicious pizza. Sebastian and Aneesa become fast friends–and partners in a pizza-making YouTube venture–and it’s almost enough to make Sebastian forget his plans. Could he possibly move past what happened to him all those years ago? Does he deserve friends and a future after what he did? He’s starting to think it’s possible. But maybe all of the positive stuff in Sebastian’s life is too good to be true. After all, no one will ever let him forget his past. Even Aneesa’s friendship isn’t enough to blot out the pain. Can anything help him to move on, or is Sebastian fated to end his life the same way he ended his sister’s? 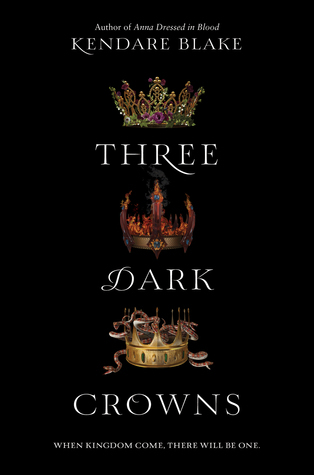 Like I said, this book wrecked me…so much so that I’m finding it difficult to write as much as I typically do. It is an outstanding piece of realistic fiction, and it’s sure to keep readers eager to turn the page. Yes, some of that enthusiasm could be morbid curiosity–will Sebastian end his life or not? 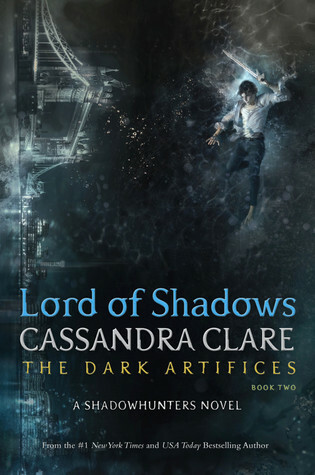 But I’m hopeful that most people will want to keep reading to see if Sebastian finds his way through the darkness. Maybe they need to see him find a glimmer of hope so that they can seek their own measure of peace. I’m not sure if Bang is a good fit for a middle school audience, but I definitely recommend it to YA readers. It’s a powerful book, a quick read, and it makes readers think about differences, friendship, forgiveness, and redemption. 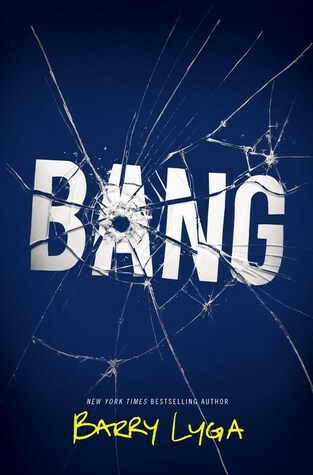 To learn more about Bang, visit author Barry Lyga’s website or connect with him on Twitter, Facebook, or Tumblr. I am a fangirl. I probably always have been, but we didn’t call ourselves that until recently. In my early years, I was crazy about the Smurfs, Rainbow Brite, She-Ra, and Barbara Mandrell (don’t ask). In my tween days, it was New Kids on the Block. (To be fair, I still like NKOTB. I’ve seen them in concert three times, and I’ll see them for the fourth time next month.) As a teenager, my Star Wars obsession really took off, and I now get all giddy about Harry Potter, Sherlock, Doctor Who, superheroes, and all sorts of other things. I totally own my fangirl ways. It makes me happy, and I’m not hurting anyone. And I guess that’s where I differ from the characters in my latest read, Kill the Boy Band by Goldy Moldavsky. With each passing minute, these fangirls get ever deeper into a mess of their own making. At any point, they could call a halt to what’s going on–and the narrator wants to on several occasions–but group dynamics are a tricky thing, and this whole situation quickly takes on a life of its own. Also, a couple of our girls may have their own reasons for wanting to cause as much chaos for their so-called favorite boy band as possible. They may not be ready, however, for just how much chaos is coming. Never underestimate the power of teenage girls in large groups. Many celebrities know that girls can make or destroy a career in an instant. In this book, they do much more than that. 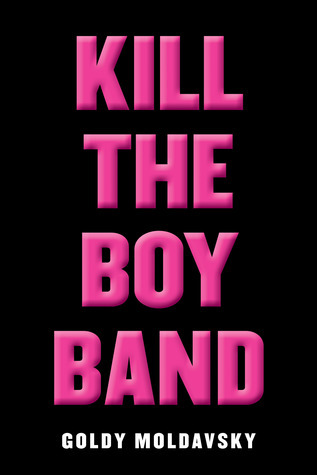 Kill the Boy Band is a dark, sometimes tongue-in-cheek, look at fandom and just how much it can take over a person’s life. Most fangirls (and fanboys) don’t cross certain lines, but one need only look at Twitter, Snapchat, or any other social media platform to see the dark side of things–stalking, threats, etc. It happens. Yes, the girls in this book take things to the extreme and allow things to get away from them, but they also kind of serve as a cautionary tale on not allowing something to completely take over your life, especially at the expense of something as basic as morality. I did like–and relate to–parts of this book, but one big thing ruined it for me. The narrator. She threatened to bow out of the whole situation multiple times. She told her friends what they were doing was wrong. She even left their hotel room. But she. Kept. Coming. Back. If she found everything to be so horrible, she had options. Walk away. Call her mom. Notify the police. Do something other than complain and fold under peer pressure. I realize that’s easy for me to say as an adult, but her actions–and inactions–really bothered me, maybe even more than some of the more heinous action in the book.